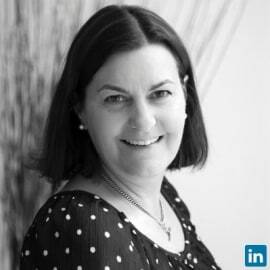 Lucy has over 25 years’ experience in B2B marketing communications and branding. Prior to founding Keen as Mustard Marketing in 2006 she was global marketing director at Research International for seven years. Before RI she worked as a marketing and PR consultant with several branding and marketing agency clients such as Wickens Tutt Southgate (now Brand House) and Coley Porter Bell as well as insurance company Eagle Star and property consultants Nelson Bakewell. She also wrote reports for the Financial Times. Lucy started her career in architecture and interior design working with YRM, Fitzroy Robinson and Conran. She speaks and publishes extensively on branding, marketing and communications. She has a degree in English from University College London, a degree in Landscape Architecture from the University of Greenwich and won an undergraduate scholarship to attend Dartmouth College in the US.